You are here: Home / News / Employment Law / Our September Employment Law Workshop is a Success! Our September Employment Law Workshop is a Success! 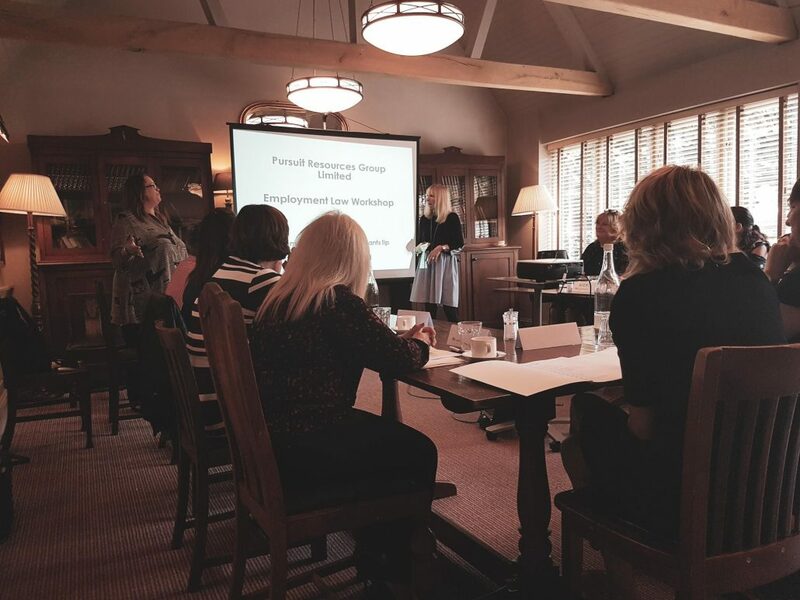 A few weeks ago we had the pleasure of inviting a handful of HR professionals to our first Employment Law workshop with Cas Carrington of KLC Employment Law Consultants LLP. We have held regular seminars for our clients for a number of years. Listening to our client’s feedback, we decided to introduce intimate workshops in-between our big events. Having a smaller amount of attendee’s, we are able to focus down on specific HR issues surrounding employment law and welcome more questions and discussions around the topic as it was presented. The event was held at The Lion Inn, Boreham and despite a powercut mid way through, it was a huge success! Don’t just take our word for it – take a look at what our clients said following the event! Thank you for letting me attend, I always find these seminars are well thought out and have a friendly environment and I learn so much from both the audience and the presenter I thought it was fab Lorraine! Lovely atmosphere, as well as the usual great presentation. Thanks for letting me attend. Cas was excellent - it was great to be able to ask questions and discuss relevant issue’s to my business with a room full of HR experts! Our next workshop will focus on the topic of Redundancy and Dismissal and has already proven popular. We have very limited availability left! If this topic, or our November workshop on Sexual Harassment and Religion, is of interest – Register your interest with us online! Cas Carrington has worked with Pursuit to bring informative updates to the world of employment law for over 10 years. Cas is an extremely experienced employment law advisor and tutor who is widely known for her lively informal style of delivering complex employment law issues and concepts. She is the author and lead tutor for the CIPD ‘Law on Tour’ workshops and also tutors on CIPD law courses, including the Advance Level Award in Employment Law and the Postgraduate Certificate in Employment Law. Cas also delivers training for the CIPD In-Company Solutions. For more information on KLC and their services you can visit their website here. Want to read more about our past events? Our Employment Law Update Seminar was a Success! Our Sexual Harassment and Religion Workshop was a success! https://www.pursuitgroup.co.uk/wp-content/uploads/2018/10/September-workshop.jpg 1536 2048 Victoria Watkins https://www.pursuitgroup.co.uk/wp-content/uploads/2018/04/PR_logo-300x69-1-300x69.png Victoria Watkins2018-09-30 09:00:332018-10-31 13:25:39Our September Employment Law Workshop is a Success! Sign up to our blogs! We'll send you an email each week to let you know when new articles have been added to our website. Developing a Coherent Strategy to Close the Gender Gap Employment Law Update!